See scan - very good condition. 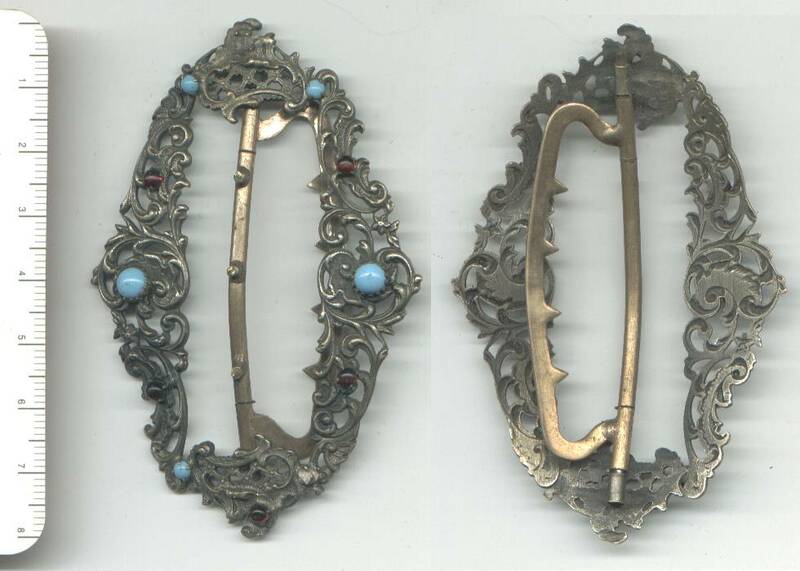 This is a very nice vintage nasp / clasp - a typical ROCOCO style and filigree with sveral red garnets and blue turquoise gem stones placed on top. 2 of the stones are fallen, but can very easily be repaired. It is still in fully usable condition and I find it a great collector clothing piece. New fashion style maybe...?